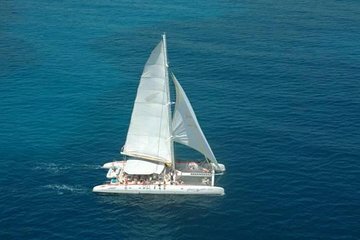 Sail along the coast of the Dominican Republic on a catamaran during this full-day trip from Puerto Plata. Go snorkeling on a coral reef, visit the Bay of Cambiaso, and a mangrove forest in Luperon. Stop midday for lunch on the beach, accompanied by open bar. Use of snorkeling equipment included; round-trip transportation from Puerto Plata hotels available for a small fee (paid directly to driver).